All SafeQuip belts are made from forged steel and quality 3" webbing. All belts are pattern sewn for uniform stitch length and strength. SFI Certification is performed routinely to insure high quality and uniform production standards. Belts come with either latch-and-link or kamlock hardware and in five or six point designs. 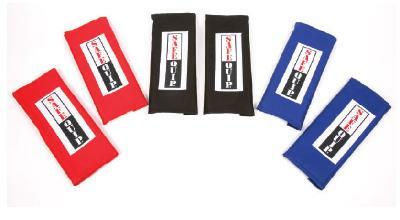 You may also choose between pull-up or pull-down lap belt designs as well as Formula car belts, Euros, and Wraps. Available in three stock colors: red, blue, and black... all other colors are available by special order (call for information). Don't forget about our Blackbelt V belt and Hanz Belts. Belts come with all necessary mounting hardware and are available in five standard designs (see sidebar). Custom sizing and designs are available! All SafeQuip belts are custom made to order to insure that you have the most up-to-date materials and that you receive just what you request. So what do I need to know when ordering belts? SafeQuip belts are rewebbable every two years! Depending on what style and color belts you have, rewebbing prices range from $39.50 to $99.50 dollars. 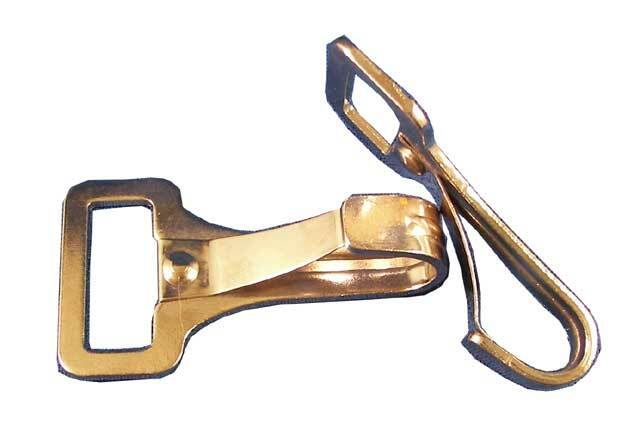 Kamlock Information: We offer three types of Kamlock systems. The Lever Kamlock (left), has a lever on top which pivots up and down to either attach or release the belts. The Lost Motion (L/M) Kamlock is a FIA Kamlock (middle). It's handle turns left or right with 30* of movement before it locks or unlocks the belts. This is the Kamlock style you will find in Formula One and other European circuits. The standard, or Twist Kamlock (right), rotates clockwise or counterclockwise to unlock or lock the belts. 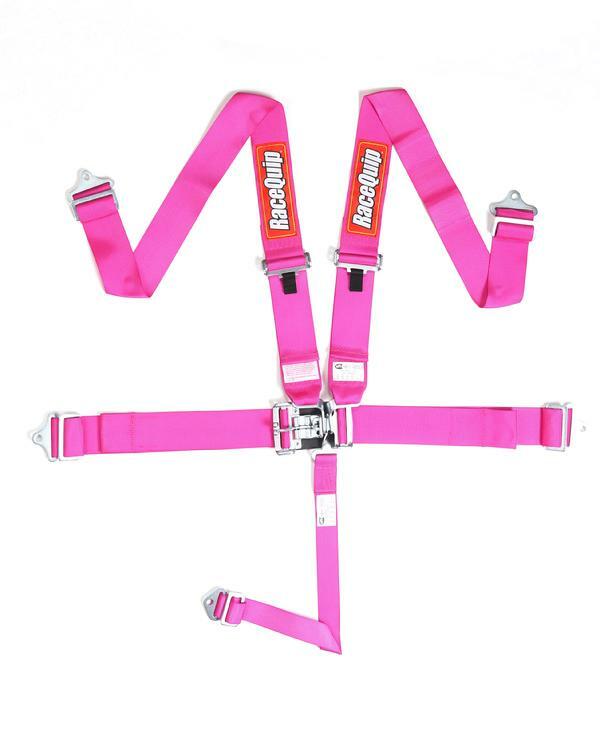 Hanz Shoulder Harness - Used with the leading Head & Neck Restraint System - these belts fit better than regular harnesses. They are 3-inch webbing narrowed to 2-inch and have a small strip of gripper rubber on the underside to help alleviate slipping. Developed by SAFEQUIP 3 years ago they are the answer to shoulder harness problems encountered with Head & Neck Restraints. So what do I need to know when ordering belts? 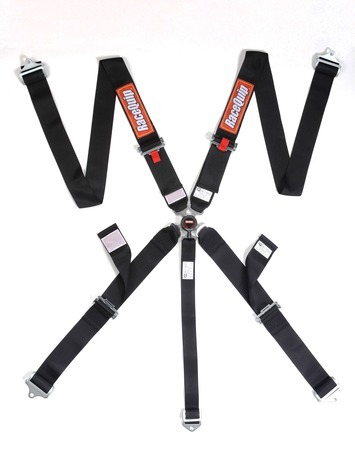 When you order SafeQuip belts, your set of belts is custom made to best fit you and your car. First of all, know that it may sometimes take up to two weeks, in the busy season, to get your belts to you. Secondly, know that these belts are going to be perfect for you, so they're worth the wait. Know what shoulder belt design you want. Know what type of linkage you want: Kamlock or Latch-and-Link. Know what color of webbing you want. There are three standard colors: red, black, and blue, but for a small fee, you can get whatever color you like. Silver, yellow, green, orange, purple, pink, etc. Know what kind of mounting hardware you want. Know whether you want a pull-up or pull-down lap belt. Know the link of your mounting strap. Have a friend measure from where your shoulder adjustments are to where you will be mounting the belts. If you have a Formula car, more measurements may be required.